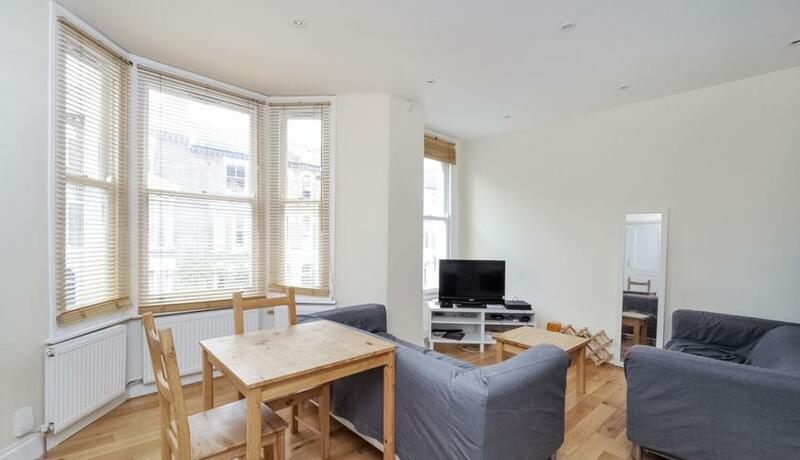 This wonderful two double bedroom first floor flat is situated on a residential road just moments from all of the amenities of Brixton. The property comprises of two double bedrooms which are located at opposite ends of the hallway, making it perfect for professional sharers by allowing more privacy. The good sized open plan kitchen and living area is perfect for socialising as there is also room for a dining table and chairs. There is also a modern tiled bathroom with shower fittings over the bath tub. The transport links offered by Brixton (Victoria Line) and Clapham North (Northern Line) and Clapham High Street (Overground via Canada Water) makes this the perfect location for the commuting professional.